The year was 2010. 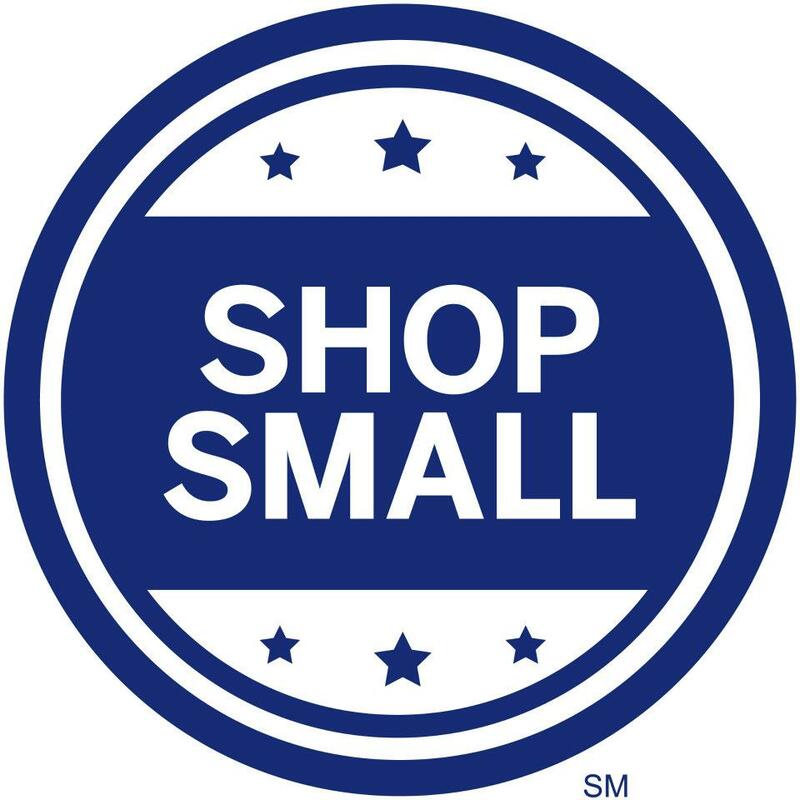 American Express decided to encourage cardholders to “shop small” by designating the Saturday after Thanksgiving as a day to shop and buy at small businesses. The goal was to bring small businesses what they need most: customers. While small business like us certainly appreciate the effort made by AMEX, we want people to know that it’s okay to shop and buy from us more than one day a year. The following is a list of reasons why it pays–not merely costs–to support a small business like us. For starters, what better way to say thanks to a business than the ones that live right where you do? Sure, corporate giants like Walmart, Target, and FedEx have a lot to offer as far as product diversification, but do the people in charge know much about your community and the challenges it faces? Does it know your customers on a personal level? Do they cheer for your high school or college teams? Probably not. Our store is operated by people who live in the same community as our stores. We know the people, places, and challenges that are the social makeup of our community. We also support a lot of organizations in our community and do whatever we can to help when and where its possible. That helps build relationships, and relationships are at the heart of a transaction. When you’re assisting someone you know, it feels more like helping a neighbor and less like taking someone’s money. We haven’t gotten where we are by being grumpy, unwelcoming, or cold when it comes to our customers. A smile can go a long way to making someone’s day or experience in our store that much better. People tend to relax and loosen up when the person with them is smiling or is in a good mood. Everyone wins! We want our customers to feel safe and comfortable in our store, and it all starts with a smile and warm greeting. It’s not uncommon for us to do what a lot of other stores cant do or are unwilling to do for their customers. There have been many times we’ve driven packages to the carrier hub after hours so their shipment can get to its destination the next day. We’ve done extra research on issues a customer was having with a carrier just to help them navigate their shipping needs. We’ve picked up their belongings from hotels and shipped them back to their residence. In one case, we even helped a customer move from our area all the way to Avon, Indiana . . . a distance of nearly 250 miles! If a customer needs help, we’re there to deliver. Making customers happy is about how you treat them more than the exchange of money. Customer service is what drives us and defines us as a go-to source for many needs like packing, shipping, printing, and more. Anyone can sell you a stamp, but it takes an extra effort to offer you a friendly environment in which that sale takes place. We’re willing to make that extra effort every day. This may be the single-most contested area of concern when it comes to shopping small. Small businesses charge more. It’s true. It’s not evil or done to rob innocent people of their hard-earned money. We don’t have the need or space to order and store large bulk amounts of stock like the corporate giants do. Their prices may be cheaper, but what are you getting in quality? What about the service? Have you ever seen all of those registers staffed with an employee . . . or even half of them? We commonly get asked the price question in terms of shipping cost. Our prices are not the same as the carriers because we have additional services built into our cost. For example, if your package is lost or damaged we do the claim work for you. We give you options with all the carriers rather than you having to drive all over the county to get accurate prices from each. Ironically, that can amount to more time in the car and more money spent in gas all while trying to save money. We work hard to offer fair prices. Our focus is on offering customers a value decision; not a price decision. We do this through quality products, services, and staff that make your visit one worth repeating. It saves you time and money and who doesn’t want that? Convenience. We all want more of it. Our store offers it. There are not many small businesses that offer you the ability to rent a personal mail box, send a fax, get a notary, scan a document to your email, shed whatever you don’t need, and ship a package through the carrier of your choice (we even offer a regional carrier!). The only thing missing is the frappuccino machine! Being able to do it all in one place is invaluable to customers. Something we often hear from our customers is the wow factor of “You guys do a little bit of everything!” You can hear the excitement and surprise in people’s voices when they ask us if we offer all the services they’re looking for and we say “Yes!” We love their excitement and saving them time and money that would have been spent running around town. Our staff has years of experience to draw from. We’ve attended countless seminars, classes, and conventions in which we broadened our horizons. Hours were spent learning the important tips and tricks from industry leaders so we could grow and improve our business. You can trust the advice we offer because it comes from a knowledgeable staff that is always adapting and learning new things. Rules and policies constantly change with carriers and vendors. That shouldn’t be something for our customers to worry about. That’s why we put in the time and effort to understand it and make sense of it all. Are you not sure how to pack and ship your high-valued item? Are you wondering what the difference between all the carriers and what they offer? We want to make your life easier. We’re happy to handle the tough stuff and help you with your questions by sharing our knowledge. There’s a difference between hearing and listening. Anybody behind a counter can hear a customer, but it takes a special employee to listen to what they customer really needs or wants and find a way to get it done. That’s what we do every day at The Mail Box Store. Sometimes our customers know what they want, but can’t exactly explain it. We do our best to listen to the details and make sure they show up in the shipment or the print job we’re processing. Knowing what the customer wants or needs allows us to offer them the appropriate services. For example, we’re not going to try and sell someone on overnight delivery when they want to send their package as slow as possible to save money. We’re here to help our customers, not push them into something they never wanted to begin with. It’s our goal to make customers happy. If we say we’re going to do something, we do it. We even try to exceed our promises by completing jobs sooner than expected whether its packing and shipping an item or a large print job that customer needs by the end of the day. This is all part of our mission at The Mail Box Store. We want our customers to have reliable options, quality choices, and unparalleled service. It’s on our mind whenever a customers walks through our doors. Delivering on this mission is such a high priority that we refer to it as our E5 Promise: Execute . . . Every Day . . . Every Hour . . . Every Customer . . . Every Time. Like any store, we do make mistakes and have bad days. What sets us apart is that we own our mistakes and promise to do whatever we can to make it right. I saved this for last because it’s the best reason I have for why its important to shop at a small business like us. This is, as one of industry leaders said, “The razor’s edge” of why we’re worth the money to shop with us. We care. We care about our customers packages, their print jobs, their time, and them as people. We do our best to learn people’s names and use them. The relationships we’ve formed over the years have been a blessing to us because we’ve become better clerks and managers by learning about some of our customers. Naturally we want to hear how things are going in their lives and we’re happy to be their cheerleaders in life. Helping people is what we’re all about and that comes from our level of care. So how do all of these things add up to your perception of small business? Do the big box stores boast the same reasons? Have you experienced any of the same things at the multi-million-dollar corporate stores? If you haven’t and wonder what it’s like to experience these things, give us a try; because we’re not just here on Small Business Saturday. We’re right where you need us and we’re looking forward to helping you, and that pays off for everyone.